We are getting ready for the 2019 garden season with planing/seeding/transplanting sessions. E mail Joanna if you would like to participate.These sessions are taking place in March. Monthly garden workshops take place on scheduled weekends 10-12. Afterwards, enjoy a free lunch! Workshop info available in our drop down menu. If you would like to suggest a subject feel free to contact Joanna. Each year in May we hold an orientation session for new members who would like to join the program. Stay tuned for the upcoming date of this event. If you would like to join the program sooner, feel free to contact Joanna joanna@thetablecfc.org. 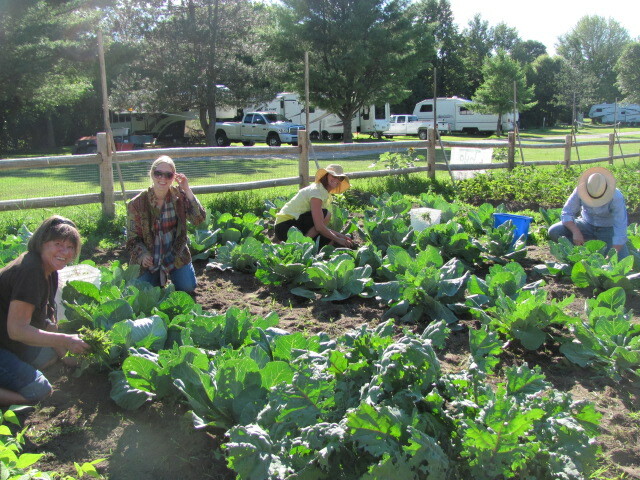 Join us at the Last Duel park Community Garden on June 8. Bring any plants that you would liket to share. Perennials, annuals and vegetables are welcomes. As we try to avoid spreading of invasive weeds, please try to keep soil free of those plant roots as best as you can.